With the price of gas on the rise and motorists feeling the pinch, it’s never been more important to boost fuel economy. A little improvement in your fuel mileage could put more dollars in your wallet, and integrating good driving habits can give you the fuel economy boost you require. Preventing jackrabbit starts and sudden stops can boost your fuel economy, but you can find other ways to save also. Unfortunately, there are also plenty of myths about increasing fuel economy and believing these untruths could wind up costing you money. Here are just four of the most pervasive myths about boosting fuel economy — and the facts behind them. Many drivers swear by gas additives as a means to boost fuel economy, but it’s vital to do the math. Those very small bottles may cost $5, $10 or even more — much more than the purchase price of gas. That high cost means that any minimal increase in fuel mileage will quickly be consumed by the expense of fuel additives. If you want to boost your fuel economy for the long run, skip the weekly fuel additives and use an excellent fuel injection cleaner once or twice per year. This myth has existed forever, and its one of the more dangerous untruths about enhancing fuel economy. Inflating your tires beyond the recommended pressure may get you a very small increase in fuel economy, but the drawbacks significantly outweigh the advantages. Riding on over-inflated tires will lower your grip, particularly in an emergency maneuver. Additionally, the more inflation will cause your tires to wear out more rapidly, and the expense of replacement tires will far surpass any gas savings you might have enjoyed. Seriously. You might have noticed that the local gas station is busy first thing in the morning, which may be because of the pervasive myth about gas and air temperatures. 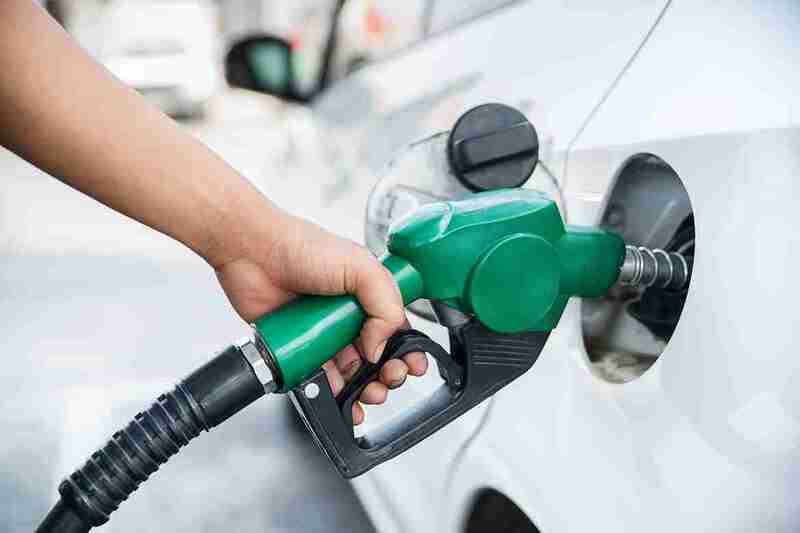 Many drivers still feel that fueling up first thing in the morning will enhance their fuel economy because the air temperature can affect the quality of the fuel. When gas was stored in above-ground tanks, this belief probably had some validity. Nowadays, however, just about all gasoline is stored in huge underground tanks, where temperature fluctuations are all but nonexistent. So do yourself a favor and get gasoline when it is convenient, regardless of what time of the day or night. There’s a myth that turning off the air conditioning and opening the windows will enhance fuel economy, but this isn’t true with most modern vehicles. The air conditioning systems in modern automobiles, trucks and SUV’s are incredibly efficient and opening the windows can damage your fuel economy. Opening the windows and turning off the AC will reduce aerodynamics and increase drag. This increase in drag could damage your mileage, so crank up the AC on these hot days to remain cool and comfortable. Regardless of what sort of car you drive or wherever your journeys take you, saving money on gasoline is always a top priority. If you wish to save money on gasoline, do your homework and find out the facts. The more you understand what works and what does not work, the more income you can keep in your pocket.